Go Shuck An Oyster: Shucking Competition - What does it take to enter? Shucking Competition - What does it take to enter? 1. Shucking Competition by John McCabe. 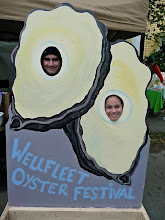 Let me know if you enter a competition and/or how many oysters you can shuck per minute.